This year's 33rd issue of Shueisha's Weekly Shonen Jump magazine is announcing on Saturday that the upcoming new film adaptation of Akira Toriyama's Dragon Ball manga will be released on March 30. The film will be directed by Masahiro Hosoda (Dragon Ball Z episode director, Nangoku Shounen Papuwa-kun) at Toei and written by Yūsuke Watanabe (live-action 20th Century Boys trilogy, Gantz, Bloody Monday, Future Diary), with Tadayoshi Yamamuro (Dragon Ball Movie 4: The Path to Power, Beet the Vandel Buster) acting as the lead animation director. 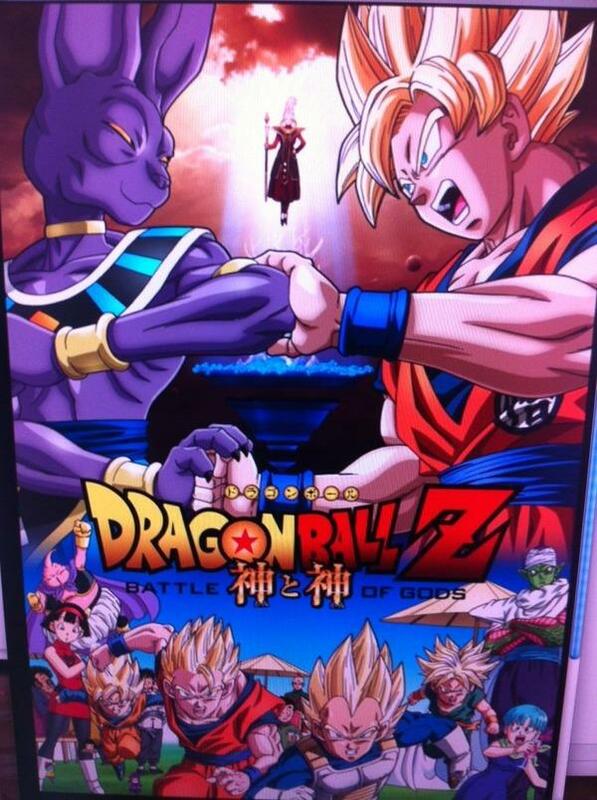 The announcement also features the URL www.dragonball2013.com, which currently redirects to a blank page on Toei's official website with the URL http://www.toei-anim.co.jp/movie/2013_dragonballz/. In a comment printed alongside the announcement, Dragon Ball creator Akira Toriyama notes that the adaptation will mark the first time he has been so deeply involved in the production of an anime, in this case as early as the screenwriting stages. Toriyama also says that the film will retain the atmosphere of the original while adding small amounts of "modern flavor." The announcement lists Fox International Productions Japan as a member of the film's production committee, alongside Shueisha, Fuji TV, Toei Animation, Bandai, and Bandai Namco Games. The official website for the magazine had already opened a "D" teaser page with a countdown to a "surprise" on Saturday, July 14. This year's 33rd issue of Shueisha's Weekly Shonen Jump magazine revealed on Saturday that the upcoming Dragon Ball film will be set between the 517th and 518th installments of Akira Toriyama's original manga. Specifically, it is set during the "lost decade" of story time after the end of the battle with Majin Buu. Kuririn, Piccolo, Vegeta, and other familar characters will appear in the film. The film is not a spinoff, but a story in the official history of Dragon Ball. 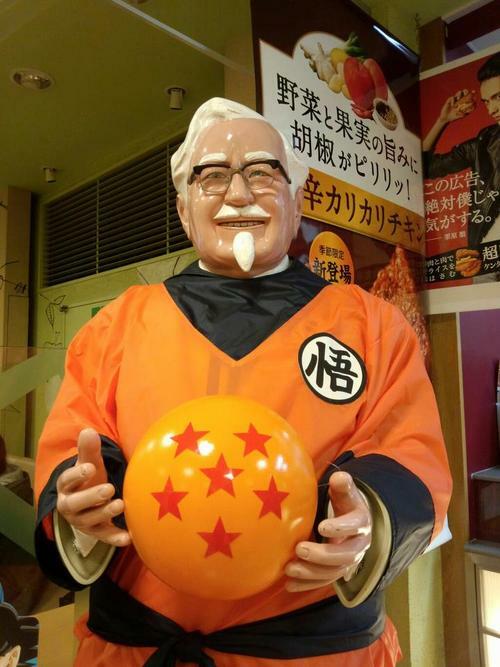 Akira Toriyama has been deeply involved in the film's production from the early screenwriting stages. Masahiro Hosoda (Dragon Ball Z episode director, Nangoku Shounen Papuwa-kun) is directing at Toei off a script by Yūsuke Watanabe (live-action 20th Century Boys trilogy, Gantz, Bloody Monday, Future Diary). Interesting that this will be the first movie that is canon. Although Son Goku and His Friends Return has no obvious canon issues either. I'm down for this. I'm all for more of the DBZ era around the Buu Saga, as although I don't care for the Buu Saga as an arc, I loved the status quo and the characters in it. So, Goku is fighting Anubis? What gets me about this is that Gohan is shown to be a Super Saiyan, which after the Buu saga by all rights he shouldn't be. The story is set several years after the battle with Majin Buu. Birusu, the god of destruction who has maintained the balance of the universe, has awakened from a long slumber. Hearing rumors of a Saiyan (Saiya-jin) who defeated Freeza, Birusu comes looking for Goku. Excited that a powerful oponent has appeared after so long, Goku ignores King Kai's advce and challenges Birusu in a battle. However, Goku is no match for Birusu's overwhelming power and is defeated. Birusu leaves after uttering an ominous message, “Is there anyone on Earth more worthy to destroy?” Will Goku and the others really be able to stop the God of Destruction?! Going through spoilers and what is interesting is that over the years there have been guidebooks with back stories and original memos and art work and interviews with Toriyama over the years called Daizenshuu or Ch&#333;zensh&#363;. There are elaborate explanations of the God hierarchy and such with characters never mentioned before in Dragonball. And it was in one of them that Toriyama said that Mr Satan was just a stage name and his real name is Mark which is a play on the Japanese word for devil. One of the revelations in the first guidebook was that the Dragonball world is in the 7th Universe. That comes up in this movie. And as a backstory for the kind of character Birusu is Toriyama was asked why Kaio's planet is so small. He said that once it was much bigger but one day Birusu came over to play video games and lost so he destroyed the planet and Kaio salvaged what he could. 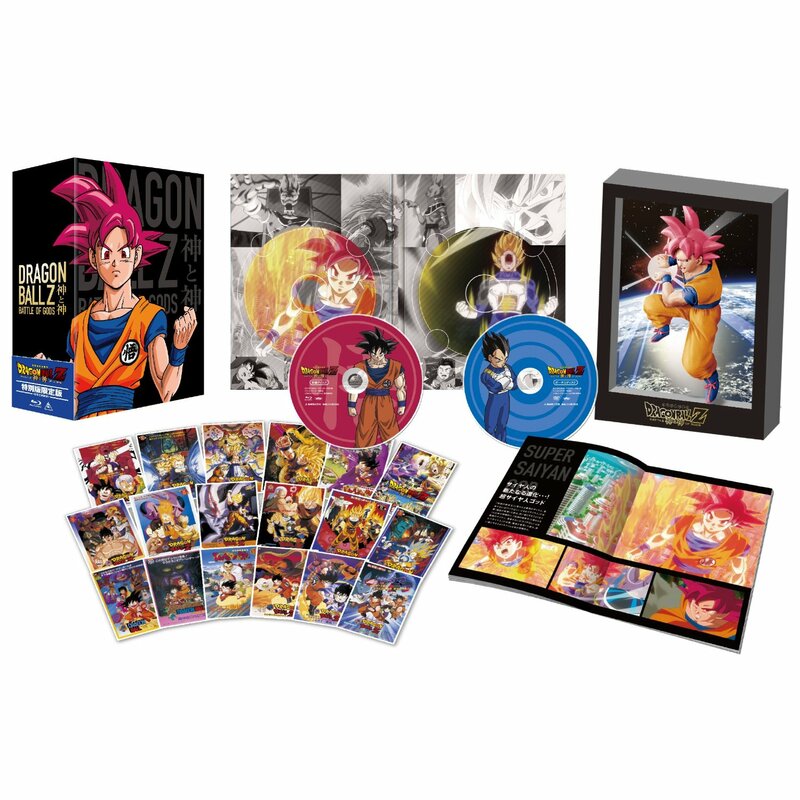 Blu ray comes out in Japan in September. So this movie is all over the internet. Having seen this it is easily the best Dragonball movie. As opposed to the other which were basically bad guy shows up. Bunch of fights. Goku wins. This one has an actual plot and goes places you wouldn't have expected.